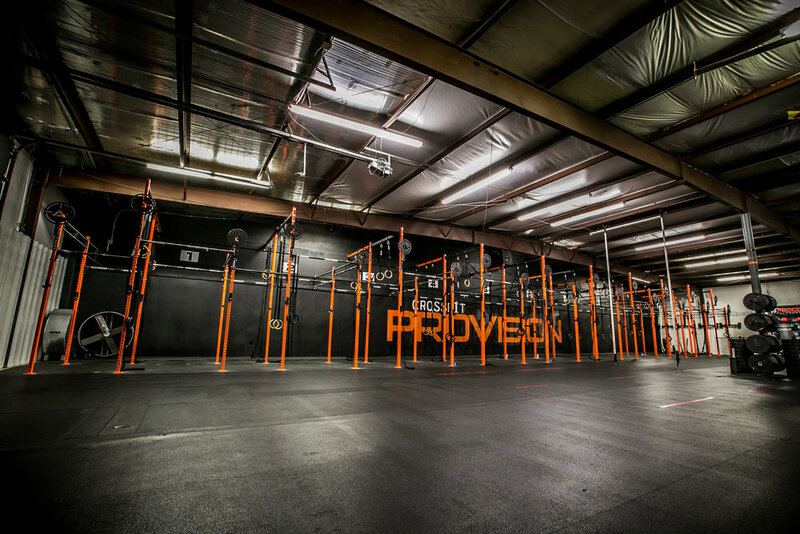 CrossFit Provision located on the south side of Springfield, MO, and is home to the ONLY 24/7 access box in the area. Powered by Axom Performance, Provision house an Axom Monster Rig! It's a 100' wall mount rig that is two layers deep. It uses a standard 4' then 6' footprint to space out the squat racks. Additionally the height is alternating between 9' and 12' to add spaces for ring stations and save the additional cost where rings are not necessary. There are a total of 20 squat stations, 20 ring stations, and enough bar space to handle the most heavily attended classes! Where it all began... Crossfit Provision was, and still is, home to all things Axom. Co-owner, head coach, and Crossfit Games regional athlete Jordan Chiles also plays host to the Midwest Meltdown. Check em out if you're ever in the Springfield area.